Samsung’s connected car and audio technology subsidiary Harman International Industries Inc. is partnering with Israel-based LiDAR startup Innoviz Technologies Ltd., the latter announced Tuesday. LiDAR, short for Light Detection and Ranging, is a surveying method that uses lasers and a sensor to measure the distance from a target, creating 3D representations of the surroundings. LiDARs are used in cars to power driving assistance and self-driving systems. As part of the partnership, Harman will integrate a LiDAR sensor developed by Innoviz into autonomous driving systems. In 2017, Harman was acquired by Samsung. In 2015, Harman bought Israeli mobile software management company Red Bend Software, Inc. A year later, Harman bought Israeli automotive cybersecurity company TowerSec Inc. 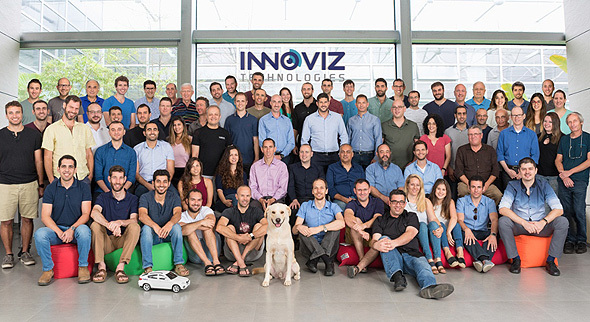 Founded in 2016, Innoviz is based in central Israel. The company has raised $82 million to date and employs 200 people, according to Pitchbook data. In April, the company announced that BMW will be using its LiDAR systems in autonomous vehicles scheduled for release in 2021.